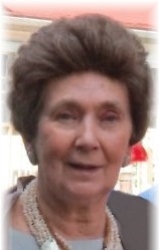 Annette Sylvia (Lavallee) Leveillee, 79, of West Greenwich, passed away peacefully on Monday, September 24, 2018 at Kent Hospital. She was the loving wife of Normand Arthur Leveillee and together they shared 55 years of marriage. Born in West Warwick, RI on December 15, 1938, she was the daughter of the late Wilfred and Alexia (Regniere) Lavallee. Annette was the owner of Homestead Creations providing floral designs, interior decorating and sewing crafts for 15 years. She also worked as a secretary for Amica and was an assistant teacher form the Exeter / West Greenwich school systems. Annette was active in her faith as a member of St. Kateri Tekakwitha Catholic Church. Most importantly, she loved her family and will be dearly missed by all who knew her. Besides her husband, she leaves her children Monique E. Leveillee Kelley and her fiancé Thomas Hobin of West Greenwich and Peter J. Leveillee of West Greenwich; her grandchildren Alexia (Kelley) Pettit and her husband Andrew and Phillip Kelley; a sister Pauline Ryan and her husband Joseph of East Greenwich along with several nieces and nephews. She was preceded in death by a brother Norbert Lavallee. Funeral services will be held at 10:00a.m. on Saturday, September 29, 2018 at St. Kateri Tekakwitha Catholic Church, 84 Exeter Rd., Exeter. Burial will be held privately by the family. There will be no calling hours. S.R. Avery Funeral Home, 3A Bank St., Hope Valley, RI 02832 is assisting the family with arrangements.